HilltopTreks has been organising walking adventures in both Ireland and abroad. We pride ourselves on giving you the best insight into Ireland. Apart form the walks we also include much of Ireland's rich heritage and history as part of our tours. There are also some great alternative activities included from Horse riding on beautiful sandy beaches in Kerry to fishing, biking, surfing, canoeing or just relaxing over a pint and listening to the best of Irish music. 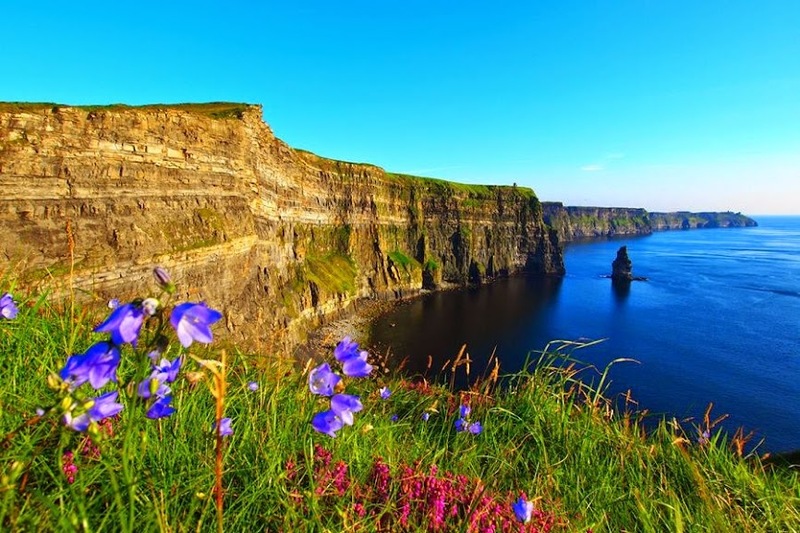 With Ireland having such a diverse and wonderful landscape within a relatively small area of land, it is the ideal place to go Hiking or walking. From the Wild Atlantic Way to the cliffs of Moher, the Lakes of Killarney or to the wild mountains of Wicklow, there is something for everyone. Hilltoptreks organize, friendly, memorable and fun walking holidays in Ireland for you. We operate guided and self guided hiking tours throughout Ireland and we can fully customise the treks to suit your needs providing accommodation, transport, and plenty of local knowledge. Including places of interest, history of area, restaurants and of course where the best pint and live music are. So if you're planning a trip to Ireland or already a native and wish to see its rich landscape and meet up with people or even travelling alone we can organise your walking trip for you. Click here to discover our Tours & Services! Enjoy a great fun packed scenic day tour of County Wicklow with a difference. This Tour leaves from Dublin Daily and you can hop off this tour bus and get out into the Irish Country side to enjoy a Guided walk, Horse Riding or Cycling. If you're not feeling to energetic you have the opportunity to visit The Powerscourt Gardens (discounted rate €6.50 not covered in cost) Voted No. 3 in the World's Top 10 Gardens by the National Geographic. The Boyne Valley is a world heritage site; it goes through the Counties of Meath and Louth in the east of Ireland with the Boyne River flowing through it to reach the sea at Drogheda. The 1916 Rebellion Day Tour of Dublin is an amazin day tour of the city of Dublin and the surrounding countryside, hills and Coastline. Prior to 1916 Britian ruled Ireland for centuries so the 1916 Rebellion is known to be the beginning of the end of British rule over Ireland after 700 years and the birth of the Irish Republic as we know it today. The Wild Atlantic Way is over 2000 Km long and is the longest coastal drive in Europe, taking in all the west shoreline of Ireland, this tour will be taking in many of its more exciting and scenic parts. This is a guided group walking holiday and it is the ancient pilgrimage trail of St James with its source in many countries and ending up at the Camino de Santiago de Compostela in Northern Spain. Click here to discover more and view up-to-date information!